Evening Seminar for church members: The new marriage era: How can we respond? 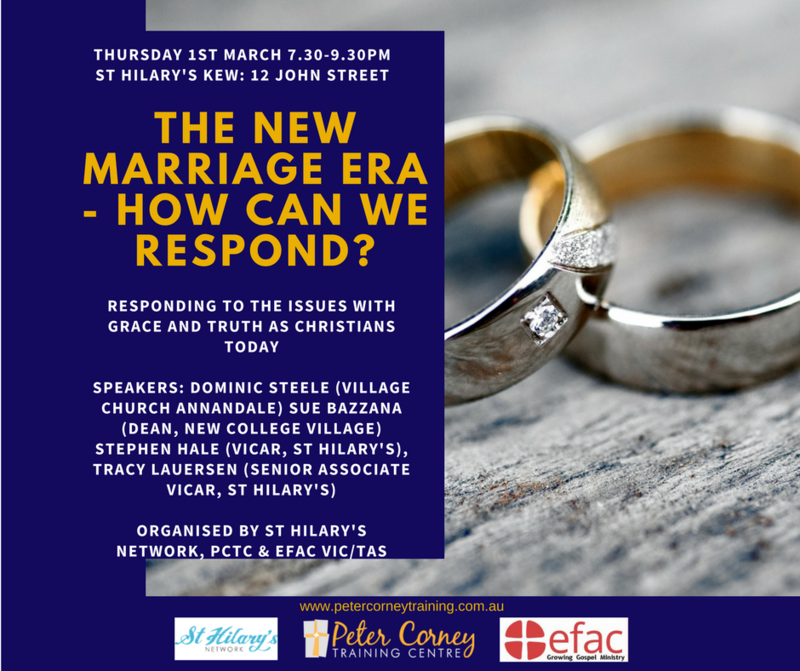 Join Dominic Steele (Village Church Annandale), Sue Bazzana (Dean, New College Village) and from St Hilary's: Lead Minister Stephen Hale and Senior Associate Tracy Lauersen as we discuss how to respond to issues with grace and truth as Christians in the new marriage era. You do not need to register for the seminar. The seminar is free.